I grew up in the peach state, various towns and cities at different times, only vaguely aware that people lived in other states. It’s weird how that happens. When you define a place as Home, it feels strange sometimes to think that there are billions of people out there who not only don’t live near you, but have most likely never even heard of your town. When I was very little, I affected a thick Southern drawl, drew out my syllables as folk do in Georgia. But over time that dwindled, even living in the state. People who meet me now will not often guess that I spent the better part of my pre-adult years (and even early adult) in the foothills of Appalachia. Fun fact: Georgia is the largest state East of the Mississippi. Yes, it’s true. Yes, even when you take the Upper Peninsula into consideration for Michigan. I mention that because when I tell people I grew up in Georgia, they almost always know someone in Augusta or Savannah. I lived about 6 hours from them, in that case. I most likely don’t know them. I’m headed that way on Saturday, the hubby and I hopping in a rental car to make the drive down. We’ll spend some time with my family at the homestead in the hills, and then I’m dragging him along with me to Southeast Dreamin’. Charlie Isaacs‘s keynote. He’s one of my favorite people in the community, so I’m very happy to see him speak. Rebe de la Paz is going to talk about educating end users – a topic near and dear to my heart. For my NPO friends, you can check out Adam Kramer‘s session on Optimizing NPSP as an Admin. My friend and fellow #GifSquad member, Amy Oplinger, is reprising her fantastic session on Imposter Syndrome. Phillip Southern is going to share how they created the open-source Trailhead leaderboard. Doug Ayers is sharing his presentation on using Process Builder to create a Chatter Bot. THE Jen Lee of Automation Hour fame is sharing a session on Flow. Chris Duarte‘s closing keynote! It’s like a delicious Salesforce sandwich, people. Did I mention the Hackathon on Thursday (this will be my first!)? Did I mention the SaaSie Tech Social? Did I mention time with the community, seeing the #Ohana? To be honest, Georgia hasn’t been home in almost 10 years, but having so many great things to look forward to, I know it’ll feel a lot more like it next week. *I am legally an adult. Whether or not I’m an “Adult” is up for debate. There are so many smart people in the Salesforce Ohana. Seriously. So many. They are in the community, on Twitter, writing blogs, hosting podcasts, just generally being awesome. Need to know how to write a formula? There’s a blog for that. Process Builder trouble? There’s a weekly webcast for that. Prepping for an exam? So many sites to help. As someone who has always been the person on the edge of social circles, one foot in and just hesitant enough to not insert myself, I can tell you that it can be hard to find your place in any situation. As someone who likes to write, who feels safest being herself behind a keyboard, I can also tell you that it’s not any easier finding your place via the blogosphere. When I first started with Salesforce, blogs helped me become a better admin. I used Salesforce’s documentation to learn the functionality, but project and product management, understanding users’ needs, best practices…that all came from the community. Once I started feeling more confident, I wanted to share what I had learned with others. I’ve tried a few avenues – speaking at events, starting the local Women in Tech chapter, evangelizing on the streets, you name it. Oh yeah. And this thing you’re reading. I have a backlog of drafts about a mile long. Posts I’ve started, trying to fit into my own little corner of the Salesforce blog world. Am I a place for new admins to learn basic functionality? Am I a marketing automation guru? Maybe I should talk about consulting? Women in Tech. Community. Automation. Communication. Learning to code. Etc. Etc. Guess what? It exists already. There are days I find it disheartening. I don’t have the experience or knowledge that many of the existing bloggers have. It’s easy to be down on myself, to feel inadequate, to think that this whole thing is a waste of time. Not what it’s about, though. If you want to share something or do something or create something in this community, I’m giving you the permission and the advice to do it. Even if it’s already been done. Even if you think no one will care. All of those blogs and MVPs and community heroes didn’t become experts overnight. They all started somewhere, and they are all here to support you. Oh, and if you’re looking for your niche, your expertise? It’s you. It’s your unique perspective, your own experiences. That’s all you need. So you’re basically half way there. This is kind of awkward for me, which is weird because I’ve acted and spoken publicly, and I don’t get really bad stage fright. This feels different, though. One of the questions they asked me was how I became a Salesforce Admin…and why. I gave an answer that was suitable for a short video. There’s more to it, though, and since I’m way better at writing than speaking out loud, I figured I’d take this opportunity to share that story. Skipping ahead a bit because I’m not about to sit here and write out all of the random things I’ve done to make money before. So many things. None of them illegal, just to be clear. I first got a job at Lean in 2013. It was a big deal. I had been working at Geek Squad, which meant some weekends and nights and a bit of a drive. Lean was Monday to Friday, 9-5, and 3 miles down the road. I started as a Logistics Coordinator, managing inbound freight for one of our clients. It was good work, sometimes stressful (Snowmageddon, I’m looking at you). But as might be evident, I was also doing other stuff in the company because I can’t keep well enough alone. More specifically, I was working with the HR team on an Emergency Response Plan because I had experience with that sort of thing (see unlisted list of jobs I’ve done). In that work, I was told that there was a data analyst spot opening in Marketing – was it something I’d be interested in? Uh, well, yeah. I applied when the job opened, interviewed, and I got the job. Hooray! “Sounds great!” What is Salesforce? What is Marketo? Cue frantic Google searches, video watching, and standard Hollywood meet-cute. Enter Salesforce Community, stage right. I went to Dreamforce that same year. It was a little overwhelming, really. I had been using/administering Salesforce for less than 6 months when I went. But it drove me to the online community. 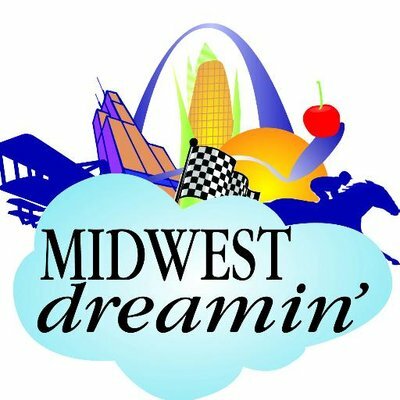 The online community drove me to learn more about regional things – user groups, and even better, regional events like Midwest Dreamin’. I’ve talked about Midwest Dreamin’ before. Like…a lot. But it’s because it’s important to me. So, so important. I took the job offered because it sounded interesting. I took it because there would be fewer late nights trying to find trucks to cover loads. I took it because I really liked the manager. I stuck with it because of the potential, the community, the people. I am so proud to be an #AwesomeAdmin. I am so happy to know the people in this community. They always surprise me. There’s always someone else I have to meet that is going to be delightful in a completely unexpected way. Or someone I know but learn eventually that we have even more in common. Or a group of people that are playing D&D for a good cause, and I get to play D&D related to my job. WHERE ELSE DOES THAT HAPPEN IN LIFE? All of this just to say thank you. Thank you to the community. All of you out there doing what you do. You’re all inspiring. Thank you to the Awesome Admin team. How amazing is it that we have an entire team at Salesforce devoted to promoting what we do?! Thank you to Salesforce in general. So much promise and opportunity for people because of the culture that Salesforce promotes. Thank you to Marc Benioff, obviously, for getting the whole show started. Stay tuned for a recap of the festivities. There are benefits to starting at level 0. No one has overblown expectations of what you can do. Learning something new is literally the best thing. No bad habits, all best practices. This was how I started my Salesforce journey…just like everyone else. I took over an instance that had been around a few years. I was excited and nervous. I started learning with Salesforce’s Premier Support Getting Started video and training series. I learned all about naming conventions, org security, page layouts, Chatter, and all of the things we all know and love. I learned that duplicates were bad, too many fields was unnecessary, and that Chatter could help teams communicate cross-functionally. Can we just take a moment to appreciate how amazing Salesforce is, though, seriously? Anyway. I was a little embarrassed. My org, the one I had just adopted and decided to raise as my own, was not house trained yet. I didn’t want people coming over, even though they already knew the org and weren’t really aware that it wasn’t in optimal condition. I went on a little bit of a change spree. I documented my org, interviewed my users, ran some reports, and I decided to do some dusting. With a back hoe. I took out so much stuff. I went in like a wrecking ball, and I started to lose track of some kind of important things. Namely my users. And data. In my desire to makethingsbetterrightthissecond, I just started making changes. Sure, I knew that best practice was to use picklists instead of MSPs, but I missed some things along the way. Such as hiding fields before you delete them. As it turns out, sometimes fields are sparsely used because they’re only used on certain record types or in certain use cases. If you delete them, that data goes away. For instance, if you have a field to track those people that need to be invited to a special client event every year, and that number is small – like only 50 people – it may seem like it’s almost never used. And technically that’s right. But it’s also sparse because it’s kind of a VIP indicator, and not everyone can be a VIP. People were displeased when that field suddenly went missing. I received emails and phone calls. I explained righteously that since the field had not been used, it clearly was not needed. Ah…I was incorrect. The next things I learned were how to restore records from the recycle bin, the location of our weekly data exports, and how to import data. I’m not the first person to learn this lesson the hard way. I won’t be the last. But if I can help one person avoid it, I will consider myself successful. Hide fields. Hide them. Remove the field from the page layout, take away Read access, whatever you have to do to hide it. But don’t delete the field. I know you want to clean your org. You should. It’s a good thing to do. But you have users to consider, not to mention your own time. So when you’re digging through the muck, don’t throw everything out. Put it out of sight, out of mind. Your users will let you know if you took away something important. Trust me, they will let you know. Since I didn’t go about it the right way, I can’t tell you what a safe timeline is, but I’d probably give it 6 months to a year. It looks excessive, even to me looking at it after I just suggested it…but really, it’s viable. In the example I gave, there was a once-per-year conference, so giving my users a year to realize that they were missing it? Totally reasonable. Take this small but important piece of advice and live by it. You will be glad you did. Barry: Scroll to the top of the sheet to the kelly green highlighted accounts. Those are the ones for you. The seafoam green are the ones I’m going to work on. The ones in orange are the ones I want you to target after the green ones. Got it? MJ: All of the salespeople were asked to create a target account list for you. I’ve used that Top Target checkbox in Salesforce, so you can just run a report on those and go after them. I don’t care about the order, but go to Retail companies first. Admin: So…which accounts are targets? How are our inside sales reps supposed to know what to do? (Removes glasses dramatically) I must assemble a team! One of the first major projects I ran as an admin was an org cleanup. Our org was about 6 years old and was in dire need of TLC. There were unused fields, created in the heat of the moment, then forgotten. Reports sat on shelves collecting dust, filtered to specific dates that no longer held meaning, many of them duplicates. The role hierarchy was a single line. In the middle of this project, I came across three different fields with the word “target” in them. Since there was no documentation (winning! ), I sought out users that I knew had been part of the team for a long time and asked them to explain the different use cases for them. MJ: Barry wanted to track target accounts associated with . But I just wanted a quick way to mark my targets, so [name redacted] added a checkbox for me to use. Admin: That seems reasonable. Can I ask, though, why this account marked as a target hasn’t had activity for two years? MJ: Well, I want to target them again in the future, so I didn’t want to uncheck it. I gathered two sales reps and the inside sales rep manager, and we sat down to review our options. There were 7. 7 options. Because there were 7 different ways of managing what we called the “pre-pipeline” in our org. 7. Seven. Like the movie. Seven. The original field had four options, none of which matched our process. We decided to use this field in a way similar to an Opportunity stage; each status represents a step in the sales cycle. Best Fit: the account meets our minimum “requirements” – the company is a good size, has enough revenue, is in a good industry, etc. Inside Sales can use this status to mine for potential new targets. Active: the account is being actively pursued. If inside or outside sales is calling people there, it should be marked active. The second piece of the target puzzle for us was who was working on what. It would look foolish for inside and outside sales reps to be unwittingly calling on the same person. And who should the admin speak to for current information? The group ownership field was barely used, and its options were out-dated. We simplified the choices and made them relevant. This field, too, is automated where possible. Manual changes are primarily handled by inside sales; based on their activities, they will change accounts to Active/Account Development, as we call it. We are a small company, and our inside sales team at the time was only 2 people (now it’s a whopping 3! ), so an outside sales rep could have accounts being managed by either of them. They needed a way to report on which account development rep was working on specific accounts, which is where this picklist came in. First off, why we opted out of a lookup field: based on history, the field would likely remain unused as a lookup. It was also easier for reporting – an outside sales rep could choose from the picklist values instead of potentially misspelling a name and having a meltdown about “Salesforce not working.” Finally, when a rep left, we could clear the value of that field, removing them from the reports. This field was also kept read-only for the outside sales reps. Rather than allow them to pick and choose who they wanted assigned to it, it’s up to the inside sales team. With the new process in place, we report on Accounts similarly to Opportunities. Sales reps can see how many Best Fit accounts they have, how many Active accounts, and who is working on them. Inside sales can look at the whole of Best Fit, drill down into their own Active accounts, and it fits nicely into our Marketo Revenue Cycle Model. I would really love to say that this new system was perfect, everyone loved it and used it correctly 100% of the time. But this is the real world, and Salesforce Admins have to live in it, too. I still get questions; I still have users tell me they need a way to track the Accounts they are working on…but at least now I have one place to send them with one way of doing just that.